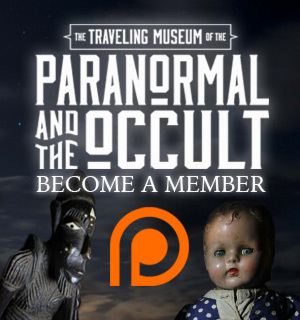 One of the best things about taking the Traveling Museum of the Paranormal to events across the country is that it gives us an opportunity to share some of our weirdest finds with other lovers of the strange. Sure, we love letting people get up close with ritually-used skulls, chunks of the Amityville Horror house, and haunted paintings, but we also make it a point to bring along a folder of our latest case files – not just because guests love to see what we’re working on, but because once in awhile, someone will be just the right person to crack the case. Back when I was a kid, I grew up in a town with more monsters, mysteries, and legends than Sunnydale. As the epicenter of local weirdness, Troy, Pennsylvania was within driving distance to century-old haunted cemeteries, ritually-cursed churches, and alleged UFO landing sites. We had tales of monsters for almost every town, county, and Parrish, from the “Granville Black Beast” to the “Mt. Pisgah Monkey”. One of the creepiest legends, though, was that of the “Burlington Boogeyman”. The tale of the Burlington Boogeyman was one that kids whispered to each other in-between classes and around campfires for generations. Our parents talked about the Boogeyman when they were kids, as did our grandparents, and so on and so forth. While some of the details would change depending on who was telling the story, the basics always remained the same; the Burlington Boogeyman was a vengeful Native American spirit that roamed the Pennsylvania forests luring people in the dark woods after the sun went down. In some versions of the story, the spirit was summoned by a local tribe for protection and revenge, in others it’s one of the tribe members themselves doomed to spend the afterlife torturing local teenagers. Those who had seen the Boogeyman described it as “the ghost of a skeleton”. Some claimed it had glowing yellow eyes, the tail of a lizard, and made a sound like a shrieking cat. For every person who claimed that they had seen the monster with their own eyes, there were a dozen more whose best friend’s brother’s cousin knew a kid who had been the unfortunate victim of the creature. The Burlington Boogeyman was the ultimate urban legend. The stories of the monster were inescapable, from kids daring each other to walk into the woods at sleepovers to teenagers in their hand-me-down cars driving down Route 6 all night in search of it. But like all of the best urban legends, there was no real evidence that the Boogeyman existed at all. Despite the occasional image of glowing eyes in the darkness, the terrifying creature lived on in campfire stories… not hard evidence. Until April 17, 2012. A couple years ago I received an email from a guy I attended high school with. We’ll call him “Chad”. 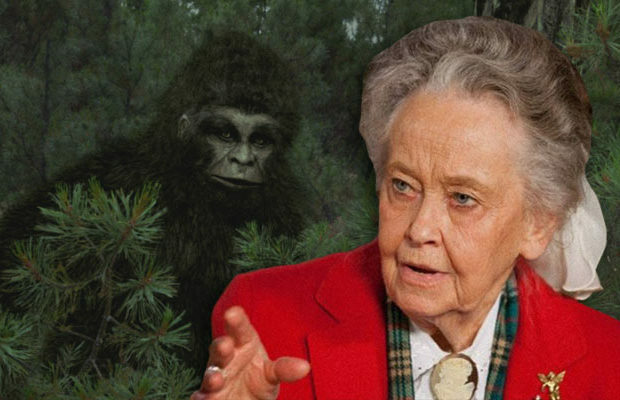 Chad had attached the following image, a truly spooky trail camera capture to rival some of the best accidental captures. It’s translucent body, giant glowing eyes, and menacing posture immediately brought back the goosebumps I felt thinking about the Boogeyman as a kid. I compared it to a database of popular “ghost apps” that insert spooky images into photos, but found no match. I zoomed in and inspected the edges of the Boogeyman, but the grain all matched up and it didn’t appear to have been pasted into an image. After all, from what I gathered, Chad’s Photoshop skills probably weren’t too amazing. “Wow, someone finally caught it,” I thought. Despite being officially denied by the local game commission for years, the presence of bobcats in Bradford County was one of the other great urban legends of the area, and the reason Chad claims he had set up the trail camera to begin with. What he captured, though, was far scarier than a bobcat. Thanks to a busy professional life and more pressing investigations into mine-dwelling goblins in Kentucky, the photo of the Burlington Boogeyman got filed away, and a proper investigation into the matter was never conducted. Last year, when Dana and I were putting together what would eventually become the Traveling Museum of the Paranormal and the Occult, she suggested that we dig out materials from some of our favorite unsolved case files to share with people. It was a great idea, and we set to work filing through our most spine-tingling evidence. When we came to the trail camera photo of the Boogeyman, we both knew it had to be part of the display. Over the last year, the image has become one of the traveling museum’s biggest hits. People gasped as they picked it up for a closer look. Some of them pointed out the exposed rib-cage, others swore it was the Mothman. “You can see the wings!” they would exclaim. In half a dozen events in locations across the country, the image was inspected by hundreds of ghost hunters, cryptozoologists, skeptics, and people with backgrounds as varied as the collection of weird things on our table. Some claimed it to be some of the best paranormal evidence they’ve ever seen, others dismissed it as the perfect storm of fog and infrared, but still, no one could really explain it one way or another. It wasn’t until we brought the museum to Missouri State Penitentiary that we had a break in the case, one that came from the most unlikely place. This wasn’t the first time that Lee had seen the trail cam image. We’d been bringing the Traveling Museum of the Paranormal to every stop on the Nick Groff Tour since it kicked off at the legendary Bobby Mackey’s Music World in February, and previously at Lexington, Kentucky’s ScareFest, another event that he’d previously managed. But for some reason, something about it had suddenly clicked as he walked by our table. You see, when Lee and Jen aren’t investigating Civil War Battlefields as founding members of S.H.O.C.K. 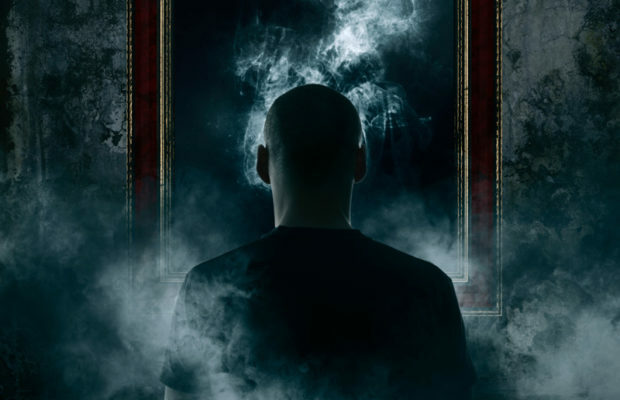 Paranormal Investigations, or making sure that everything runs smoothly on a nationwide tour in support of Ghost Adventures‘ Nick Groff, they’re x-ray technicians. Unlike most regular people, they’ve seen thousands of x-rays of what we look like on the inside, a detail that suddenly turned out to be the most important piece of the Burlington Boogeyman Trail Camera puzzle. Lee and Jen took the time to point out what we were actually seeing in the photograph, googling some images of x-rays and CT scans. As it turns out, the human head looks pretty goddamn terrifying when you can see through it. After a week of further investigation, it appears that Chad simply grabbed a CT scan, overlaid on a trail camera photograph, and passed it on to me, that is, if he didn’t just grab it from a message board somewhere. I wasn’t ever able to locate the the original or manipulated photo through reverse image search, but if you’re reading this, maybe you’ll be able to track it down. I’d say that pretty much closes the case on the mysterious trail cam photo of the Burlington Boogeyman. Sure, he might still be out there terrorizing teenagers in the backwoods of Northeastern Pennsylvania, but thanks to Lee and Jen, those kids can rest just a little easier now. 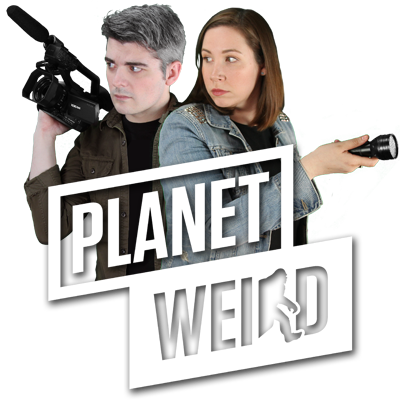 Had we not felt it worth bringing our Planet Weird investigation files along on our traveling museum, that mystery might still remain unsolved. By essentially crowd-sourcing our paranormal investigations, two people out of thousands were able to provide the information that solved a mystery. That’s awesome, and it’s set a precedent to continue bringing our unsolved mysteries on the road. Who knows, you just might be the one person to crack the case. Do you have a story about the Burlington Boogeyman? Does your local town have its own local legend meant to terrify teenagers? Do you have a creepy photo you just can’t explain? We want to hear from you! Drop us a line on Facebook, tweet us @WeirdHQ, or leave your comments below! Aww, man!! That’s a shame. Though at first glance, I did think it looked a bit like an x-ray too. Back to the drawing board, I guess! Well, damn. Still, good debunking, you guys. The first thing it looked like to me is a bird flying through the frame up and toward the camera. A cockatoo, parrot or owl type of bird launching upward close to the camera triggering the shot. I really appreciate how you guys approach things. I’m of a scientific bent and since according to the scientificmethod, we can never definitively prove anything, the best we can do to substantiate an explanation is repeatedly try to disprove it, and failing that each time come to the conclusion that a given explanation fits and has heretofore withstood all attempts at negation. In short wanna back up a theory? Then try yourdamnedestto shoot holes in it!